eq8tor is part of the Ecom Global Network. The management of Ecom Global Network have over 60 years of combined experience in international logistic. In the last 20 years the team has been focused on e-commerce and solving the problems associated with online selling across international borders. Over the years we have come to recognise the importance of local knowledge to breaking into new markets. Simple things such as finding the best courier companies, translating packaging or knowing how to negotiate the customs rules, can make or break a venture into a new country. 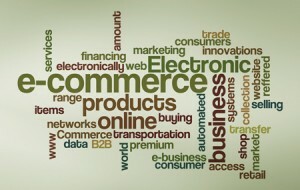 With the modern e-commerce market more and more small businesses are facing these challenges. eq8tor exists to help business make the most of the global e-commerce market by sharing knowledge and contacts and by lowering costs. At the heart of the eq8tor membership program is the eq8tor app. This gives our members instant access to the latest, and cheapest, shipping rates and allows them to track parcels to their final destination. Having access to cheap international shipping, simplified customs procedures and local contacts massively reduced the risk and overhead of selling internationally and gives eq8tor members a distinct competitive advantage.